A smart, Internet of Things platform on which to control various aspects of home life from your mobile phone. We developed the inspiration for the Loch Ness Platform when one of our college suitemates lost his keys to the dorm. After we learned of his misfortune, we decided that it was time to put an end to being locked out. The stepper motor controls a small gear that drives a larger gear which is attached to a beam and a deadbolt. The beam runs along a channel to keep it horizontal and extends the deadbolt out into a locking position. When prompted by the user, operating within a corresponding application, the lock will retract and open the door. Three LEDs represent three different rooms in a house. This accentuates the Internet of Things platform as we will have the user turn on the lights in their respective "rooms" from their mobile phone. We also have a working security camera represented by a phone camera. Most of the parts in this project have been designed in Solidworks and printed using MakerBots. 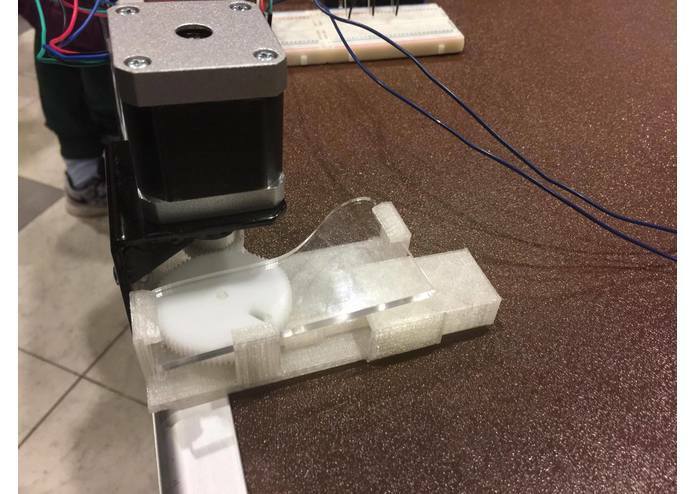 The gears, the lock, and the support plates were all designed using CAD software and either 3D printed, or Laser cut from acrylic. 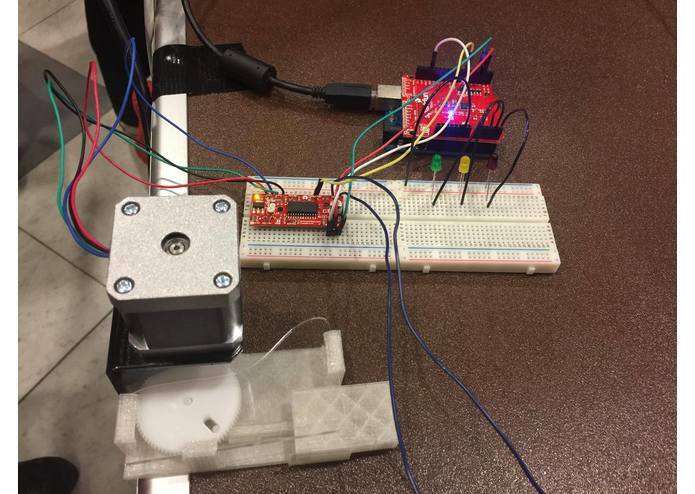 The stepper motor is controlled by an arduino with a wifi shield and a stepper motor controller. Some challenges we faced while building our Loch Ness Platform included designing and manufacturing gears, plates, mounts, beams, bolts, etc. in Solidworks, and configuring stepper motor compatibility with wifi and an android application. We're proud to have two first time participants learn so much and work so diligently in order to produce a final product. I learned how to properly solder wires and components, laser cut various materials, and design arduino circuits (as this was also my first experience with arduinos). The future of the Loch Ness Platform seeks to build a proper routing device that allows users to connect any hardware with each other through the central hub of the android app. Users will be able to set the thermostat of their homes, lock/unlock their doors, open/close blinds, automatically brew coffee when the wakeup alarm rings, unlock and start vehicles when in close proximity, etc. Through the Loch Ness Platform, users will wake up to a better tomorrow! I worked on the three-dimensional design and prototyping for the hardware aspects of the project, from designing and laser cutting gears, to building and printing the locks and the support plates. 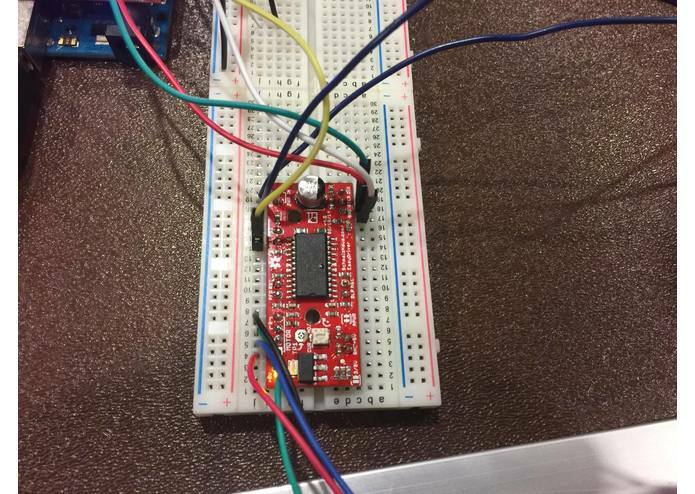 As this was my first hackathon, I learned a great deal about rapid prototyping, arduinos, and wiring electronics. I helped the new guys with both Arduinos and all things rapid prototyping. Most of my time was spent helping with the CAD but I also spent an enormous time wiring and writing code for the Arduino. 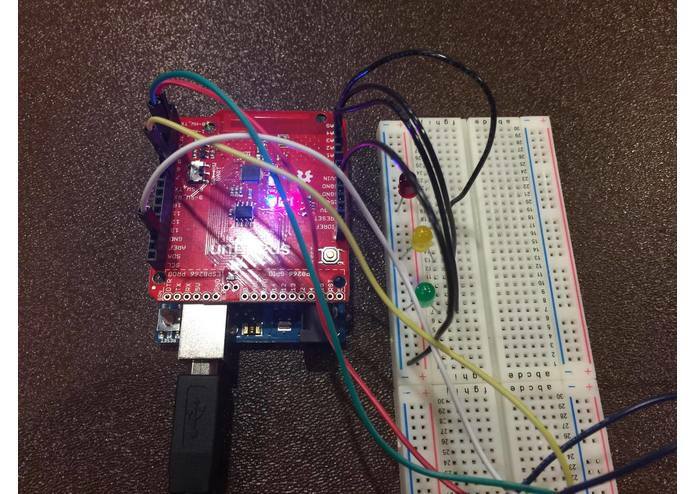 I programmed the Arduino and helped with the backend of the app used for interacting with the Arduino. 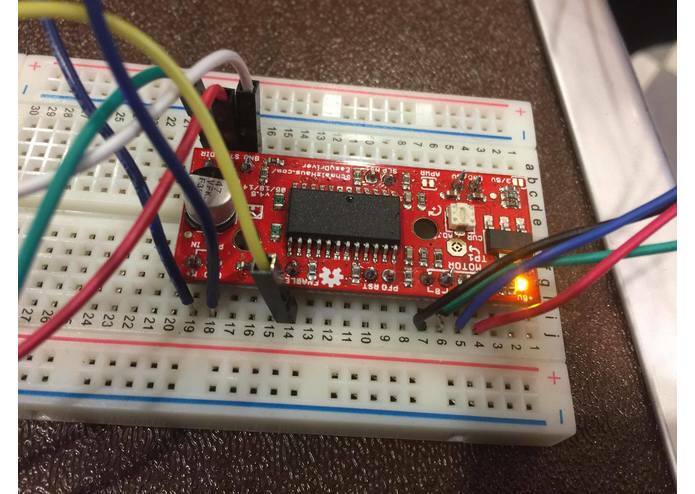 I ended up learning a lot about Arduinos and programming for them, and that made this a very productive and useful first-time hackathon for me.